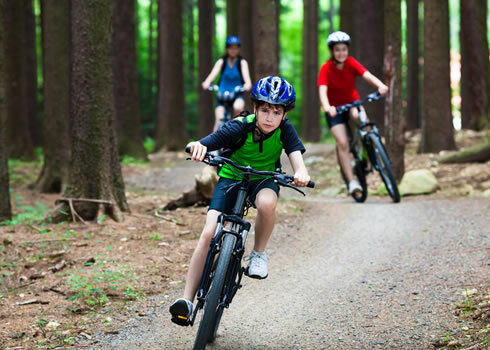 There are many popular hiking and biking trails throughout Summit County. Want to Mountain Bike or Hike a famous section of the Colorado Trail? Kenosha Pass to/from Gold Hill Trailhead is a GREAT walk in the woods, and an exhilarating bike ride. Why not go all the way to Tennessee Pass... And beyond! Continental Divide Trail, Peaks Trail, you name it. We can handle up to 10 passengers with large packs or bikes (per vehicle) and we often deliver rejuvenating ice cream sandwiches (free of charge!) for pleasantly exhausted hikers and/or cyclists. ​We offer Shuttle Services to the Top of the Pass! We'll gladly provide Rafting Shuttles, or any other shuttle service you can think of... maybe a "Skateboard Shuttle" for longboarders? "Hang Glider Shuttle"? "Hot Air" shuttle? That's every time when Doby is driving cuz he's FULL of hot air: haHAha! Anyhoo, we don't have a trailer, but we do have a trailer hitch. We can coordinate to arrive at the end of your adventure and have everything you need, ready to go! Or we can just give you a ride back to your vehicle. Whatever you want! Just keep in mind that our rates are based on our travel distance/time to get to/from our hub in Frisco. That said, we'll gladly meet you anywhere, anytime! We sometimes let our Guests park their vehicles at our "office" just outside of Frisco, free of charge! We're happy to shuttle your vehicle for you. That way, all you have to do is go with the flow. You won't have to feel rushed or wait around, and neither will we. Just keep in mind that we will need to provide 2 drivers (1 to drive our vehicle + 1 to drive your's). It's often simplest to meet up with you at your vehicle at the END of your adventure, then drive you to the START in our vehicle. Our rates are based on our distance/time from Frisco. We'll go anywhere you want, anytime, and we're used to driving on rough Jeep roads. Pick a path. Any path. We take private bikes, rentals and/or trailers. Easy and convenient access to mountain bike trail heads, recreation path access points, and Colorado's famous biking locations. ​Uphill biking not for you? Try a shuttle to the top of ​the mountain! These are rides you will talk about for years! Transportation to the trail heads of Summit County or points on the Colorado Trail. We'll gladly take car of your hiking transportation needs. 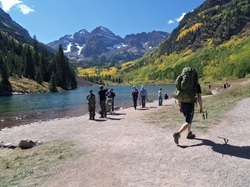 Let us help make your hiking pleasant and hassle-free. ​If the weather turns, your gear fails, you are injured along the way, or if the 12-day trip is just... not so fun... Give us a call at 970-401-0988... We'll get you where you want to be! Across the Valley or across the State, anywhere you want to go! Call 970-401-0988 to book or visit our Reservations page.